Adult coloring books are a trend that has picked up a lot of steam in recent years. Grown-ups are reconnecting with their creative side to reduce stress and find inner peace and happiness. Coloring is a great way to unplug and let go, especially after a long day at the office. There are even meditation coloring books designed to help you de-stress. “Meditation” in terms of coloring is not the same as a traditional meditation practice, as you will not be focusing on your breath and clearing your mind. Instead, you will focus your attention on coloring, unlocking the creative side of your brain, and through the act of coloring you can clear your mind of other worries. There are tons of adult coloring books available with different themes and styles. We’re focusing specifically on the ones that are the best for meditating, relieving stress, and helping you feel better. 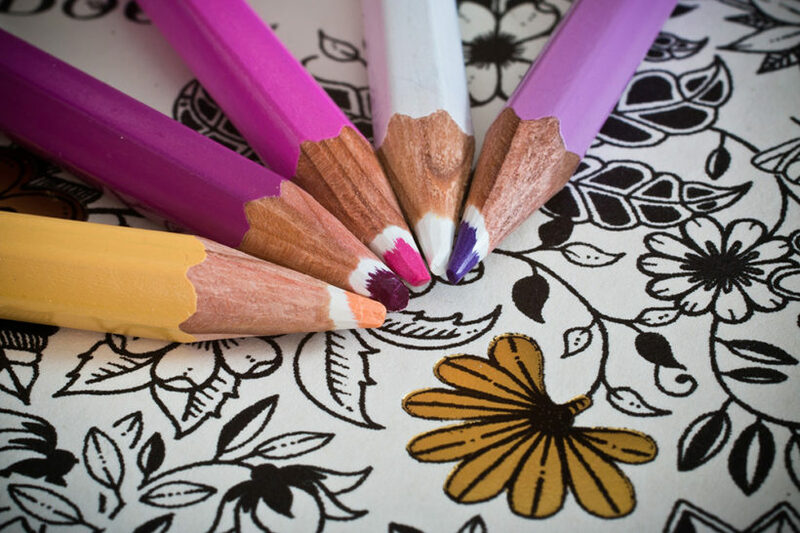 If you’re new to the world of adult coloring books, check out these >colored pencils, pens, and markers. Beautiful Relaxation is an adult coloring book by Danny Dimm. It’s especially designed for adults and advance colorists and it features a nice variety of illustrations, including flora, animals, and landscapes. This book has 30 total original illustrations. The pages are printed on one side for easy removal so you can display your beautiful artwork. If you enjoy this edition, Dimm has also released a Beautiful Relaxation Volume 2 for more calm coloring. This coloring book from Patience Coster literally has meditation in the name. Meditation Coloring Book is a fun and creative collection of soothing images to help you wind down. It’s designed specifically to help take your mind to a peaceful place where meditation can occur. The designs in this book include mandalas (sacred circles without a beginning or an end) that echo balance and help you achieve balance in your mind. Other illustrations include abstract images and patterns that allow you to focus, relax, and let all of your worries go. This pocket-sized coloring book by French artist Emma Farrarons inspires you to eliminate stress through creativity. The convenient size makes it easy to steal a moment of peaceful coloring at any time of the day. This coloring book is designed to help you unwind and let go of your stress and worries to find peace through mindful coloring. The illustrations include kaleidoscopic designs, along with magical nature. With 70 intricate designs and patterns, you’re sure to find bliss while you color in these pages. The book features a lay flat design so you can easily color every inch of these gorgeous illustrations. This zen coloring book from art therapist Lacy Mucklow and artist Angela Porter features 100 illustrations to help you with your meditation and relaxation. Color Me Calm aims to help you disconnect from all the stress and pressure of modern life and channel your anxiety into a creative output. The book is divided into 7 themed chapters of mandalas, water, woodland, geometric patterns, plants, animals, and spirituality. If you enjoy this book, you may also like Color Me Stress Free and Color Me To Sleep. Volume 1 of Relaxation Templates for Meditation and Calming is a gorgeous collection of coloring pages by artist Cherina Kohey. Each of these magical patterns will help you relax and get creative. The designs are great for beginners and owners of many adult coloring books. The illustrations include beautiful flowers, hypnotizing patterns, and fun city scenes. This coloring book includes 30 illustrations printed one per page so you can easily remove them to color or display when you’re done. If you enjoy this book and are looking for another meditation coloring book, check out Deep Relaxation. Now that you’ve found the perfect meditation coloring book, get some colored pencils, pens, and markers to starting coloring with.